Create your own customised Australian adventure, starting off in one of our Australian gateways. From here you can fly to more than 60 Australian destinations and see more of Australia for less. 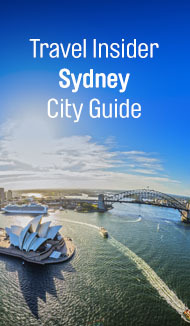 To access Qantas Explorer fares, select multi-city in the booking engine. Qantas Explorer fares must be booked in conjunction with a Qantas return international fare to Australia or New Zealand, and have the same validity as your international ticket. Prices exclude carrier charges, fees and taxes, which will vary depending on your departure and destination points. Savings are based on a comparison with the year-round fare. At times, there may be sale fares available which may be cheaper than the Qantas Explorer fare for that routing. 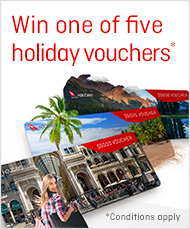 Travel is in Economy on Qantas or on Qantas codeshare flights operated by Qantas Link, Jetstar, Alliance Airlines or Air North. Child discounts do not apply. Discounts for infants (under 2 years) not occupying a seat are permitted at 10% of the applicable adult fare. No minimum stay; maximum stay 330–350 days from the date of reservation. Seats are limited and may not be available on every flight or day. Other restrictions apply. Changes: International flights - are as per the international fare rules. Qantas Explorer flights- Charge of INR 1940 per change per person in case of the re-route or class change. All changes are subject to local service fees.